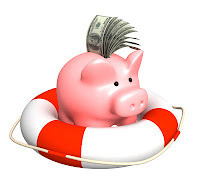 Home Loans Payday Loans Are Payday Loans a Scheme? Are Payday Loans a Scheme? According to the Better Business Bureau (BBB,) in 2012 over 300 consumers across America were victims of payday loan schemes from a single payday loan company based in Las Vegas so go and figure the thousands of scams performed by countless unscrupulous companies nationwide. Although, not all payday loans deals announced everywhere are schemes, there is always a chance that you can fall into one of them, so it is better that you be aware how to find out when a payday loan offer is real and when it is only a money scheme. Many of the complaints filled out by consumers that were scammed by the Las Vegas payday loan company referred above said to have found a $30 finance fee in their accounts for payday loans they never applied for. So first thing to keep in mind to avoid money schemes associated to payday loans is review items and charges in your statement even if you have already applied for a payday loan, so you can make sure they are not taking out your money rather than depositing the money borrowed. Because payday loans are easy to get and very little requirements to apply are easily covered, stay alert when a payday loan lender offers you more than you can expect from a payday loan. Things like more money than is allowed for short term loans in your state, or when the interest rates are too low, and the lender claims that finance fees were waived are all signs of a money scheme coming your way. Most payday loan lenders work on the premise to lend more money than their closer competitor and at the best interest rate, but most of them have set up similar maximum amounts you can borrow that usually ranges between $1,000 and $1,500. What none of them tell you is that specific laws in the state of your residence allow you to borrow much less than the money they are offering, with very few exceptions. If the lender pushes you to apply for more money than your state's law permits, you can be sure this is a money scheme to rip your money off by the payday. This is usually a personal pitfall and not a money scheme from a payday lender and it consist of thinking that if you borrow $500 you will repay a slightly higher amount, when the true fact is that you might be paying 652% APR or even more. So, if you have a budget, and your paycheck is not much more than $500, your chances to fall behind your payment will increase as your paycheck will not cover the cost of the payday loan. Reportedly, payday money schemes companies appear listed in the BBB, so it is easy to prevent falling into their practices. Consumer review sites are also a good option to find when payday loans are purely money schemes and also to discover when a payday loan company is offering a good deal to check it out. I think not all payday loans are schemes. It is just that an individual must be very vigilant when it comes to his/her financial records so he/she won't have to face credit problems when applying for a loan.